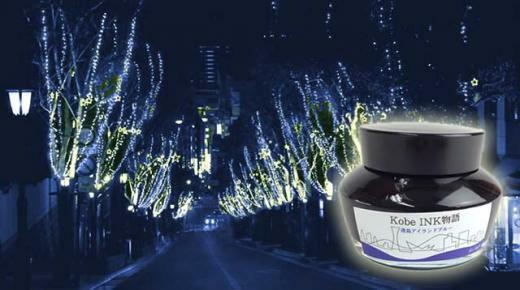 This product has been developed by skilled technicians from Sailor Fountain Pen, Co., taking for a theme “the color that would fit the elegant City of Kobe”, in order to make the life of fountain pen users even more enjoyable and fruitful. The Kitanozaka neibourhood has a gradual slope between Sannomiya and exotic town of Kitano-machi, and this area is known for its typical Kobe looking view. If you come to the lovely town of Kitanozaka, you will be stunned by its gorgeous night view. Night sky of this town is fantastic night blue, which is particularly well-harmonised with beautiful lighting and illumination of each shops in the town. 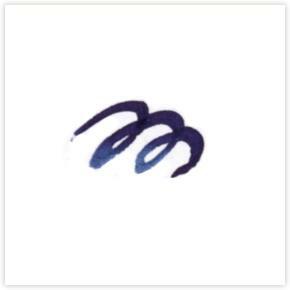 This ink represents such a beautiful night sky showing subtle changes day by day. 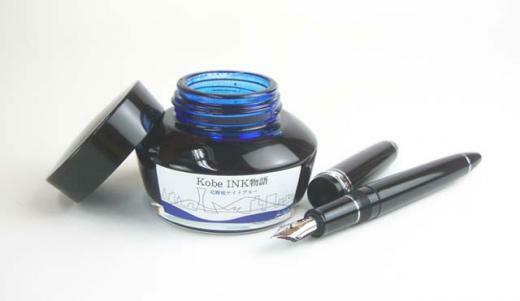 Nonprofit Corporation – The Corporation for Promotion of Industry of the City of Kobe, which organized the “Kobe Selection 2008” acknowledged products of Nagasawa Stationery Center Co.’s shop, the “Original Profit Fountain Pen” and the “Kobe Ink Story”. What is the “Kobe Selection”? The “Kobe Selection” is aimed at creation of new brands of Kobe that would gain popularity among many people through making public offering and selection of fancy products that symbolize Kobe, selling them on-line as “Kobe Selection” (through internet) or off-line (in real stores) and providing information on various occasions. 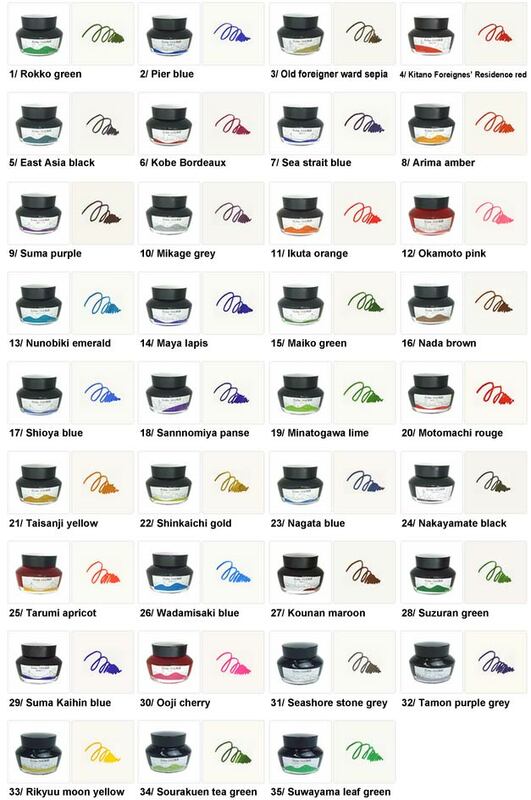 Please look at this beautiful ink and others in our online store under the stationery category!